As I mentioned last week, I’ve had the fun of looking at covers for my forthcoming books recently – and here is the first of them. 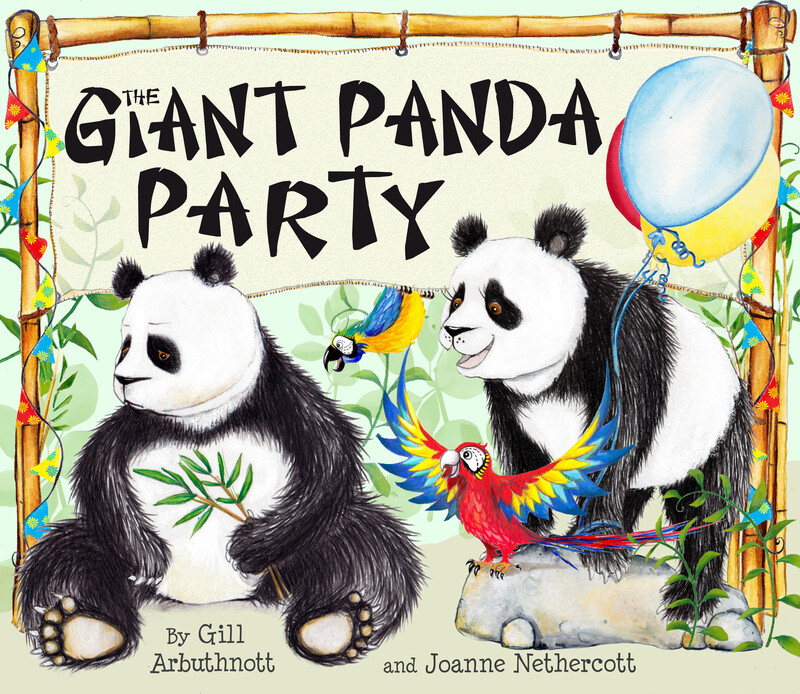 The Giant Panda Party is the second picture book written by me, illustrated by Joanne Nethercott and set at Edinburgh Zoo. This time, it features the world famous pandas, Sunshine and Sweetie, (Or Yuang Guang and Tian Tian to give them their Chinese names). Sunshine is very grumpy (I know – Sunshine the grumpy panda??) because he thinks everyone has forgotten his birthday, so Sweetie decides to enlist the help of the other zoo animals to arrange a birthday surprise for him. The Giant Panda Party will be published by Floris Books in March 2013.